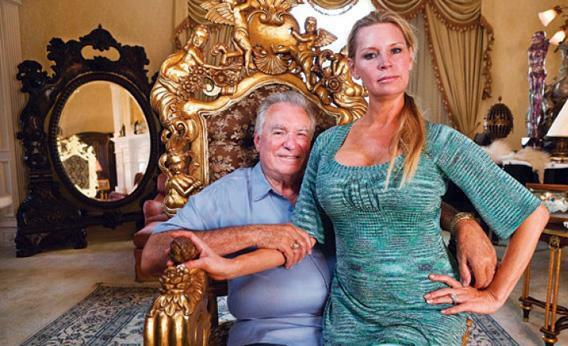 David Siegel of The Queen of Versailles: Westgate CEO needs to stop whining about Obama. Photograph by Lauren Greenfield/Magnolia Pictures. That’s my message for David Siegel, the founder and CEO of Westgate Resorts (and the subject of the recent documentary The Queen of Versailles). He is one of the largest resort developers in the world, and I usually have enormous respect for him. Siegel started a business out of his garage and created a timeshare company that operates more than 10,000 units at 28 resorts. For that I congratulate him. But on Monday, Siegel sent the thousands of employees at Westgate a long letter saying that if Barack Obama is re-elected, Siegel might be forced to lay many of them off. Mind you, he says he’s not threatening anyone, or telling them for whom to vote. But he is dead wrong. The top 1 percent paid 21.6 percent of the taxes in 2011. And here is the key: They earned 21 percent of all the income! The middle 20 percent earned 11.4 percent of the income, and paid 10.3 percent of the taxes, and the bottom 20 percent earned only 3.4 percent of the income and paid 2.1 percent of the taxes. In the end, it all pretty much evens out: Americans pay the same percentage of the taxes as they earn of the income. Sounds pretty darn fair to me, David. No redistribution there—just carrying one’s fair share. He blames it all on what he calls “a system that penalizes the productive and gives to the unproductive.” But again, he is wrong. Government has to take from all for the good of all—including for the good of Siegel himself. Just one example: Westgate’s property at the Smoky Mountain Resort and Spa in Gatlinburg, Tenn. People go there and pay Siegel a whole lot of money so they can appreciate the beauty of Great Smoky Mountains National Park, the first national park for which the federal government spent its own money to buy land. No national park, no big resort that people will pay for. You also wouldn’t want to build a resort there without reliable public fire services. Or public roads to enable people get there. Or a safe water supply.